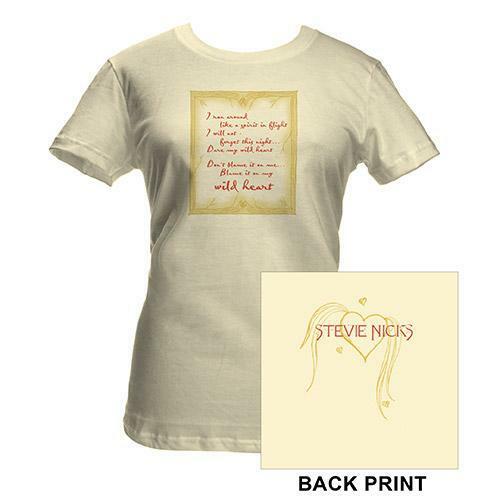 The front of this tee has lyrics from 'Wild Heart' printed on the front with original artwork by Stevie on the upper back. Ivory. 100% Cotton.